Elegant, distinguished London remains the focal point for British culture, yet this is an outward-facing world city with a contemporary twist. Over recent decades, the capital has transformed from a city of noble institutions to a multicultural hotbed – one increasingly at ease with its changing identity and place in the world. Flanking the historic landmarks, grand architecture and iconic views, London's artsy, cosmopolitan side provides a different draw. If you're seeking grandeur at premium, you'll still find it – simply head to the West End for bright lights, exclusive restaurants and some of the most glamorous five-star hotels in London. 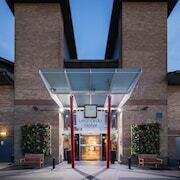 Still, there's a quirkier, more accessible capital to be found, complete with options for budget accommodation in London. The London of today is a cultural and economic powerhouse, with proud monuments, museums, parks and squares, and a thriving financial district. Headliners such as the Tower of London, Palace of Westminster, Maritime Greenwich and Kew’s Royal Botanic Gardens remain an inevitable visitor draw, but there are hip alternatives to the major landmarks. Interspersed between the Gothic masterpieces and leafy Georgian crescents, you'll find the Shard, Tate Modern, artsy boutiques and quirky markets. 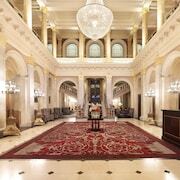 These hint at an edgier, more progressive city, reflected by the fine range of boutique and spa hotels in London. London isn't quite Paris or Milan, but it's not far behind in the fashion stakes. If you're into luxury clothing and high-end branded goods, Harrods, Selfridges, Liberty, Fortnum & Mason and Harvey Nichols are your essential stops. 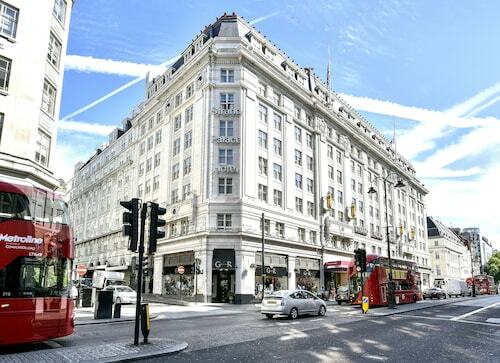 Best of all, these famous stores are close to clusters of both Bed And Breakfasts and five-star accommodation in London. For mainstream retail, there's nothing like that Oxford Street buzz; set a course for the flagship stores on this busy artery. For something a little more offbeat, Soho, Camden and Shoreditch present hipster-friendly independents, and food and drink options to match. London's cultural evolution has seen the capital diversify as an eating-out destination, and the city's reputation as a world leader in food is well-established. If you're seeking haute cuisine, the West End's Michelin-starred restaurants and innovative gastro-pubs await. However, there's more to present-day London than fine dining. The multicultural city shows its face in bohemian Soho and under the arches at Borough Market, while Brick Lane's curry houses offer a reliable taste of the Indian subcontinent. If you're seeking refined elegance on a London night out, head to glitzy Theatreland, upmarket Kensington or fashionable Mayfair. For a more relaxed evening, Soho and colourful Camden provide a cool, alternative vibe, while the East End offers its archetypal selection of boisterous pubs and clubs. Many of the hotels in London have their own highly-rated restaurants and bars, which can provide an ideal starting point for after-hours fun too. 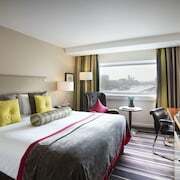 Choose a hotel in the West End to at the heart of London's entertainment hotbed – critically-acclaimed musicals, plays and comedy shows run across the dozens of historic theatres and playhouses here. For classic concerts, head to the Royal Albert Hall in Kensington; for Shakespearean productions visit Shakespeare's Globe in Southwark, and for operas, ballet and dance, make your way to Covent Garden's Royal Opera House. 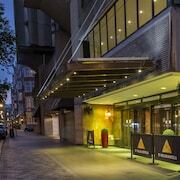 KOKO, Roundhouse, O2 Brixton Academy and Hammersmith Apollo are just some of the higher-profile gig options, and there's likely to be a live band or two playing at pubs near your hotel. For classical art in London, head directly to the National Gallery in Trafalgar Square – this extensive museum houses works from almost every major Western movement. Next door you'll find the National Portrait Gallery, which pays aristic tribute to influential historical figures. Across the river, in the converted Bankside Power Station, the expanded Tate Modern houses a sizeable collection of contemporary works. The gallery's cavernous Turbine Hall, which hosts temporary exhibitions and an eclectic programme of events, makes for an impressive centrepiece. 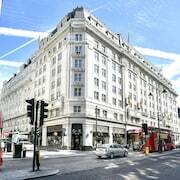 Before choosing your hotel in London, you need to decide whether you're looking for luxury or affordability. 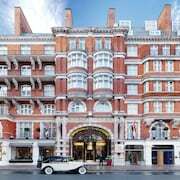 For a premium trip to the capital, consider a hotel in Mayfair or accommodation in South Kensington – you can book some of the world's most exclusive stays here. 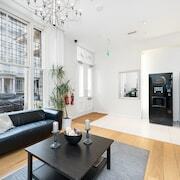 If you're on a budget, though, you'll find a huge range of cheap hotels in London around the city, with self-catered apartments and backpacker-friendly hostels aplenty in East London. There are various places to stay close to the main attractions, which include Buckingham Palace, Piccadilly Circus and Trafalgar Square. 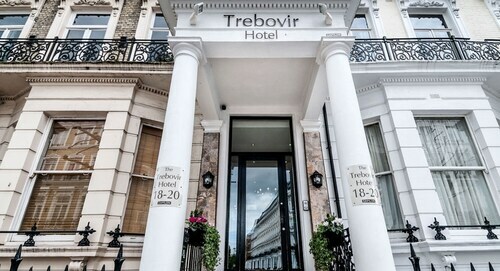 If you're venturing a little further afield, for example, with a hotel in Shoreditch – you can take advantage of the capital's excellent public transport links to access the tourist centre, though even this part of town is reachable on foot from Central London if you like a walk. 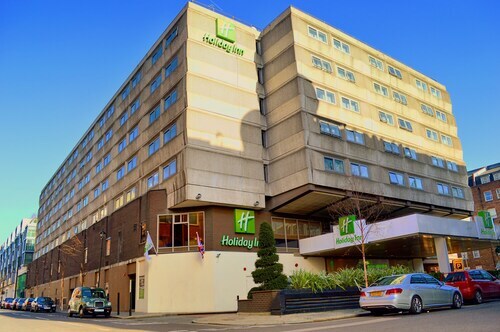 If you're planning in the city break in the UK but you're not yet set on London, then see if you're tempted by another destination with a hotel in Brighton. 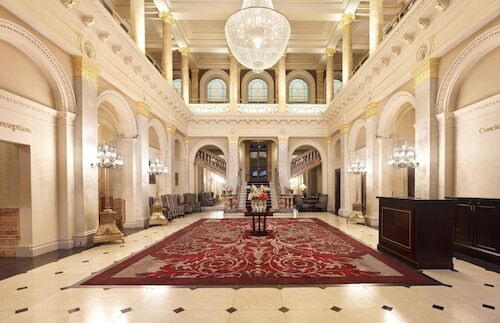 Or if you fancy somewhere further afield, consider another great European capital with a hotel in Paris. Explore London with Expedia's Travel Guides to find the best flights, cars, holiday packages and more!